There are few SUVs out there with as much history, controversy or relevance to the everyday consumer as the Ford Explorer. But no matter what you may think you know about the Ford Explorer from any past experience, the 2014 Ford Explorer Limited 4WD V6 we tested here will no doubt shatter them all to bits. Ford took its iconic SUV nameplate and created a state of the art crossover that not only does a great job of hauling seven in relative comfort but also one that is sturdy and powerful enough to be a workhorse for those who tow or haul. Really, this is the best Explorer yet by far. And, miracle of miracles, the MyFordTouch system in our tester actually worked seamlessly without a problem but more on that later. First off, let’s get into what makes this excellent midsize SUV such a great choice for families needing to take half the team to Little League practice all while still being able to tow your boat to the lake in the summertime without any worry. 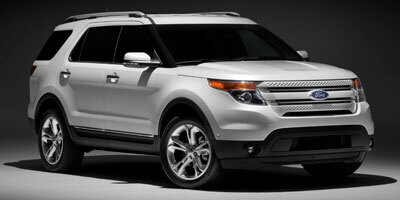 Because with the 2014 Ford Explorer, you really can do it all.